I have about a 20 minute drive to and from school. I began listening to podcasts about 2 years ago as a way to soak up more cool thoughts and do some of what I like to call #PDinthecar . One of my regular listens - Check this Out with Ryan and Brian - is a really good one. Episode #98 "New Connection" gave me today's resource. 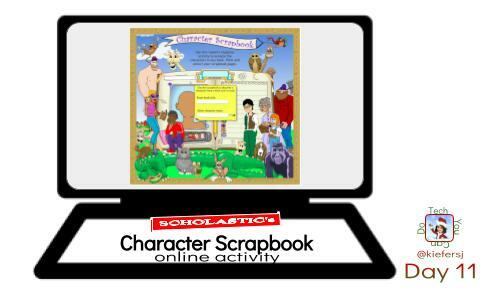 Brian Briggs shared "Character Scrapbook" by Scholastic. I was highly intrigued! He described it as a site where students can go and create a character and then list out characteristics about that character. Sure enough - that's the gist! Ultimately, these can be printed, but another idea is to have students complete this and take a screenshot, then compile all into a Google Slide for the entire book. I can see that being a pretty cool class activity. I really like this site - especially to use for a quick activity. BUT .... I felt the options to build the character were somewhat limited. Sooooooo ... if you are looking for a bit more customization, I created this Google Slide you can copy [http://bit.ly/characterslide] for you/your students to use. 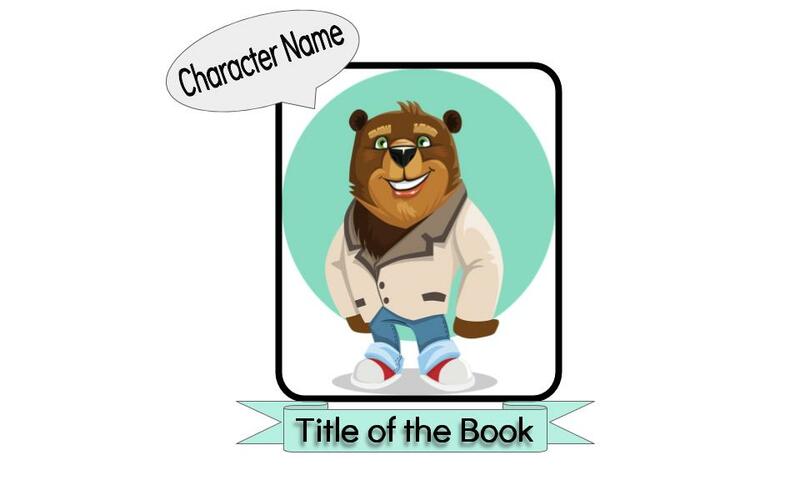 Swap out the bear with the chosen character - or use Slide 2 to create your own version of the character and then insert on Slide 1. Collecting all the slide and creating a comprehensive slidedeck so all the students can see is a great way to share with all students (& don't forget about sharing the link to the parents!) so further discussions can happen. I also included a few "extension" ideas (you can find them on Slide 1). I love when I see students dive into an activity and I always try to think a few steps out by having something "extra" for students to chose from to push them a little further. I also try to balance allowing for FULL creation (Slide 2 where they can start their character from scratch) with a more guided piece (Slide 1) where everyone has a starting place, no matter the skill level. I hope you enjoy BOTH of these activities! If you like the character slide I created, I encourage you to check out the website I co-created with Beth Kingsley called "Templates for Teachers" [http://bit.ly/templatesforteachers]. We have many more of these types of activities ready to go! Ahhh....may be just what I need to begin the new semester after holiday break. I always begin with students "drawing" an unhealthy teen (Health class), and then pulling out the stereotypes of what "unhealthy" means. At the end of the discussion, we get to health is more that not being ill, aka Wellness. I am going to try an adapt your slide for that activity to make my course completely paperless. That was the 1 activity I was holding on to...wish me luck...and thanks for sharing the template. Good luck! I'm sure you'll do a great job - but feel free to reach back out, I'd be happy to help. Adapt away 👍🏼.